Harold Schimmel was born in 1935 in New Jersey, USA. He immigrated to Israel in 1962 and has lived in Jerusalem ever since. Schimmel has taught English and American literature at universities in Jerusalem, Haifa, Tel Aviv and California. He has translated collections of the poetry of Uri Zvi Greenberg, Avot Yeshurun and Yehuda Amichai. 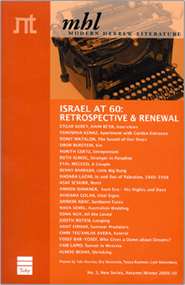 Schimmel has published several of his poems in English; his first Hebrew poem appeared in 1967.